Affiknitty -: The circular needle organizer goes to . . . I love that game. It's addictive. If you fancy a game I'm CraftyCripple on there. ah but you still beat me! 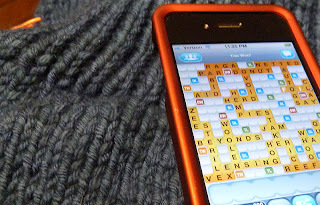 I must try this Words with Friends. I think it is one of several things keeping my daughter from doing her chores. Yippee! That is all kinds of awesome. Me and my soon-to-be beautifully organized circs thank you from the bottom of our hearts!